Shopping in My (Cedar) Closet – Again! 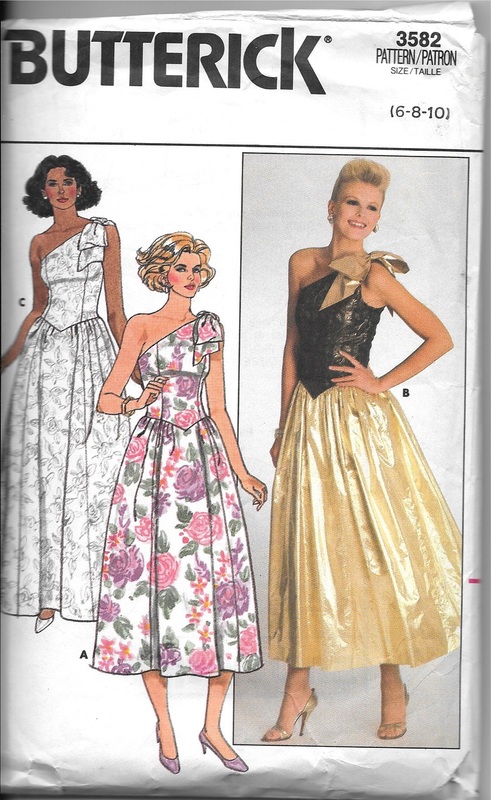 The thumbnail drawings show the princess lines in the bodice. 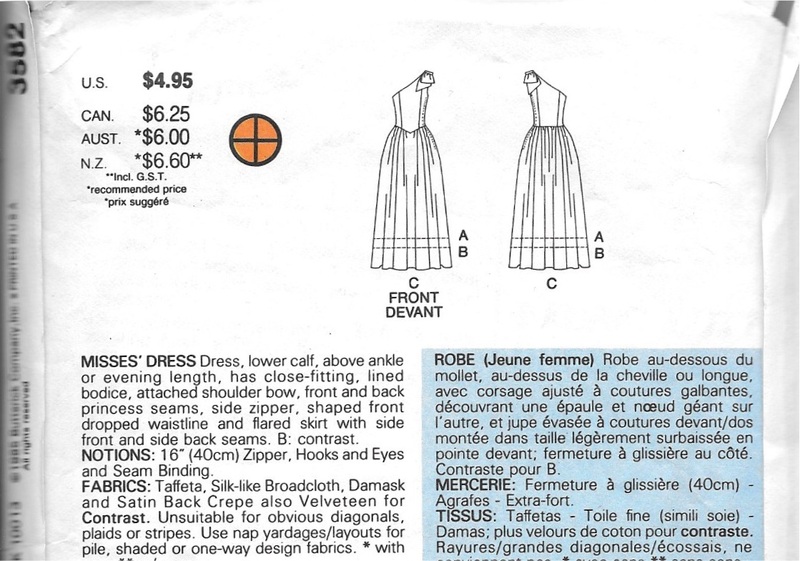 The description explains the construction of the skirt. I made it in the ankle length version. And yes – it has a side zipper. I enlarged the pattern a bit to make this bow. 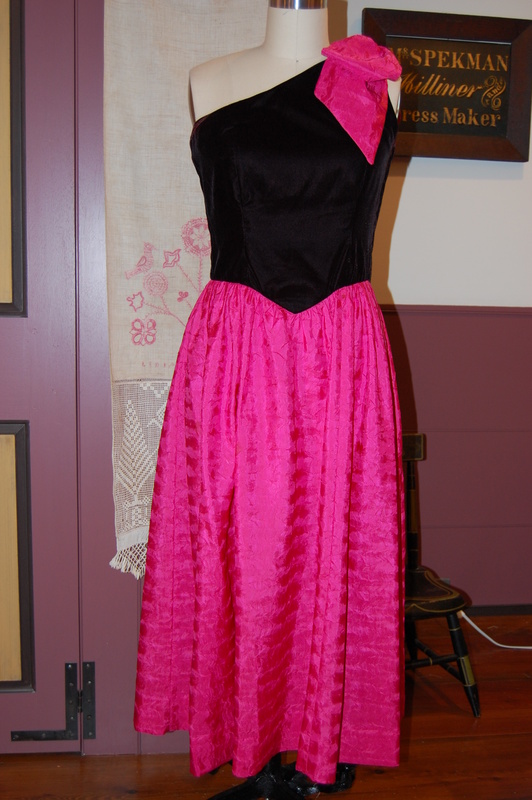 With a black velvet bodice, the dress from my cedar closet is definitely more suitable for cooler weather, and I didn’t think it looked too dated to wear. I like the dropped front waistline – a detail not often seen in current patterns – at least to my knowledge. 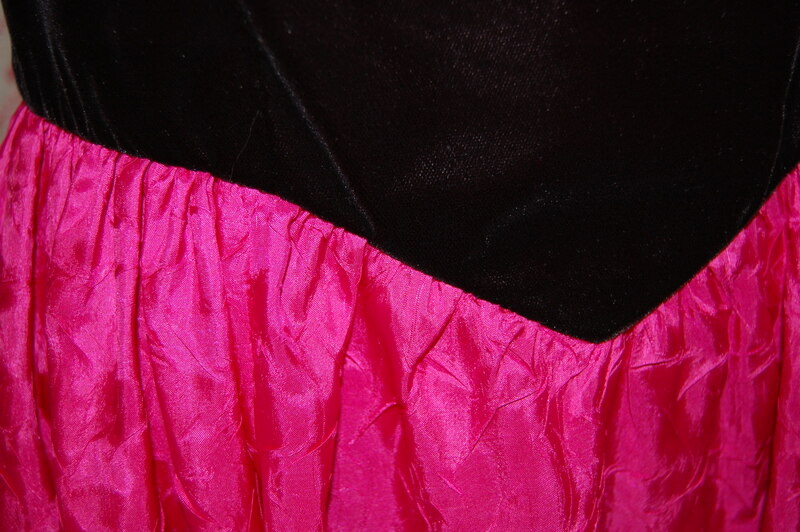 The pink fabric is polyester, although it certainly resembles silk. I never forgot the “name” of this fabric – it was called “Eyelash”! It has a crinkled effect to it, but is soft and wrinkle resistant. 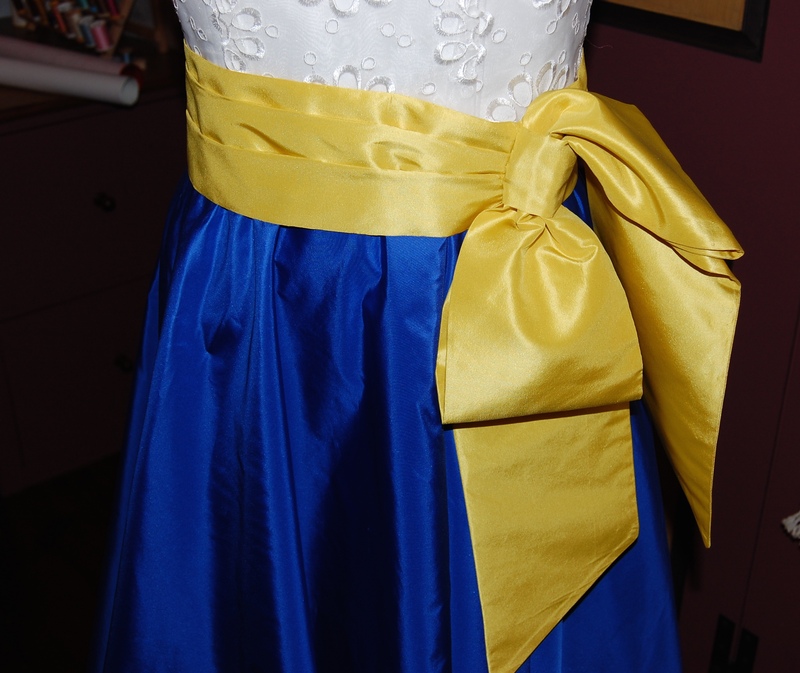 This is a view of the back of the dress. 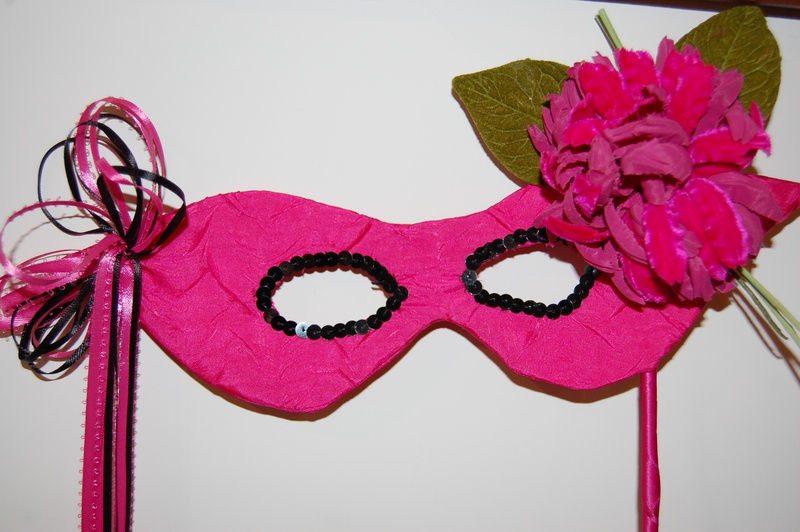 And, as luck would have it, several years ago I made a mask to wear to some other event, the purpose of which now is lost to the ages! 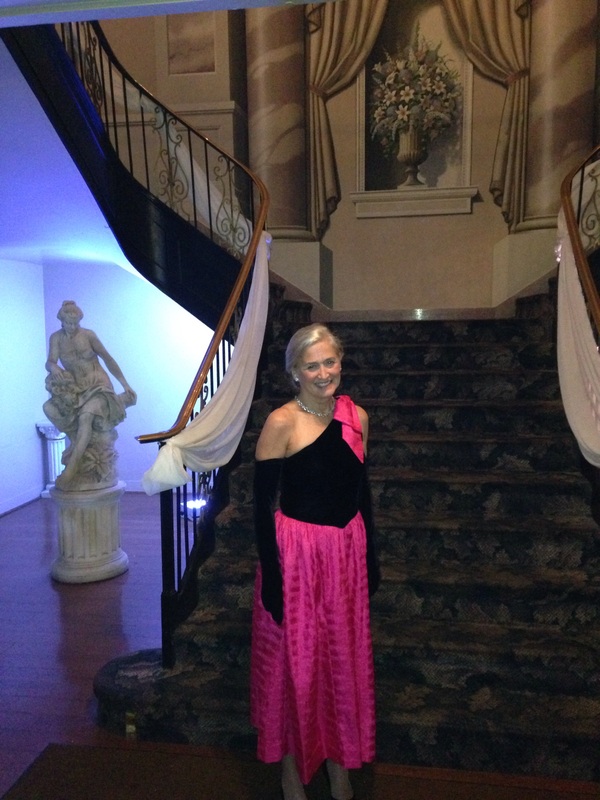 Fortunately I had used some left over fabric from my “cedar closet” dress – so it matched perfectly. 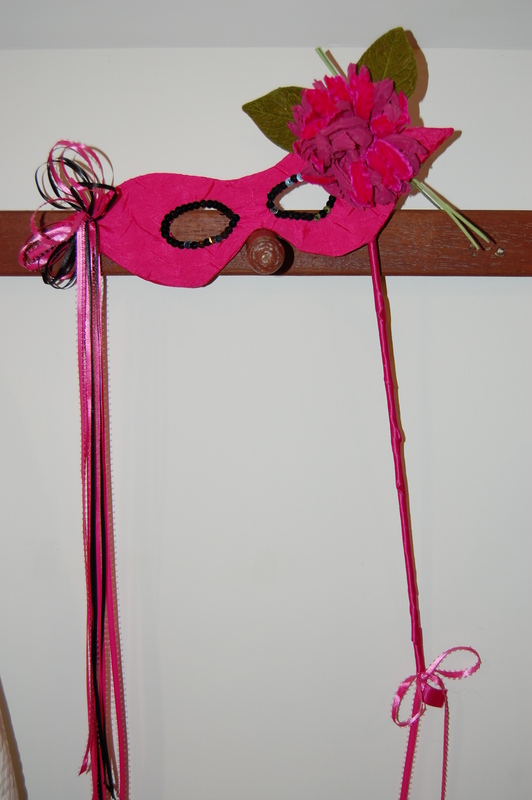 I love a mask on a stick – it doesn’t muss one’s hair! I added that vintage flower to give it extra allure. The stick is just that – a skinny dowel which I covered with ribbon. Those are sequins around the eyes! 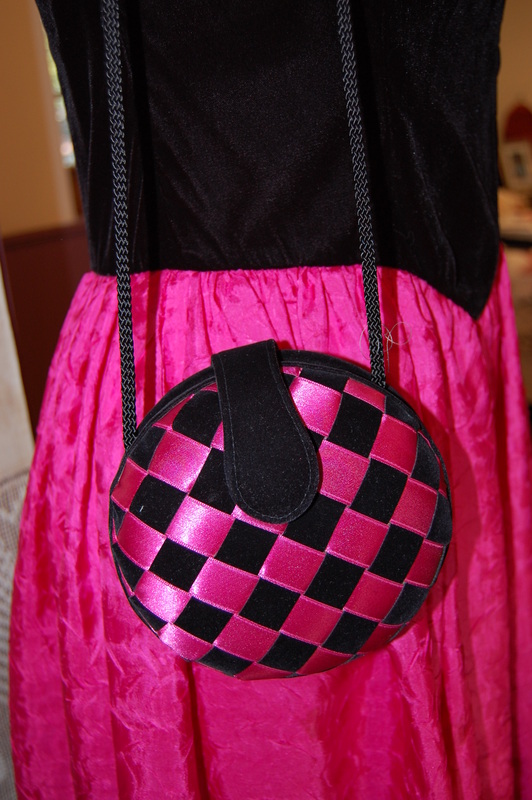 When I made the dress back in the 1990s, I found this evening bag to use with it, so, of course, I wanted to use it again. How times do change! I tried every which way to fit my smartphone in it, and no amount of “schmushing” or angling allowed me to do so. Fortunately, my husband’s tux has lots of pockets, so he toted my phone for me! 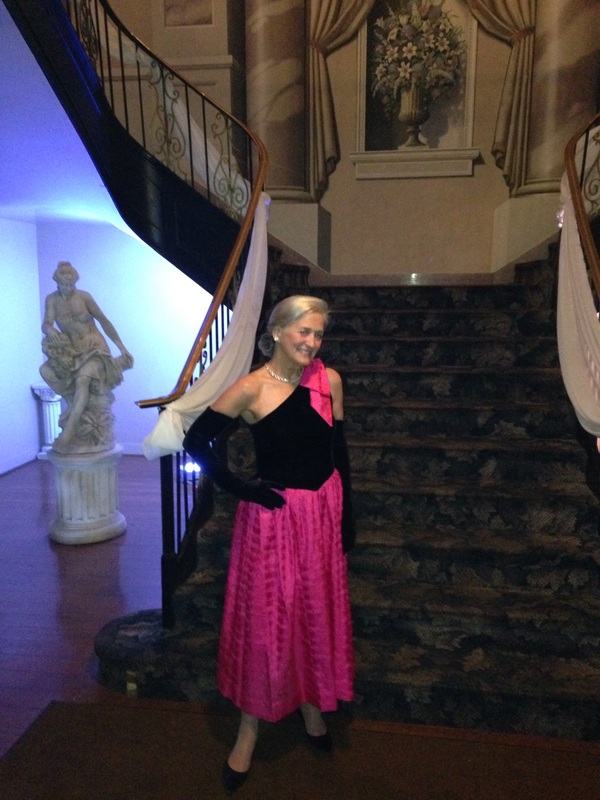 The final touch to my outfit was long black velvet gloves. I adore long gloves; they are elegant, fetching and … warm! 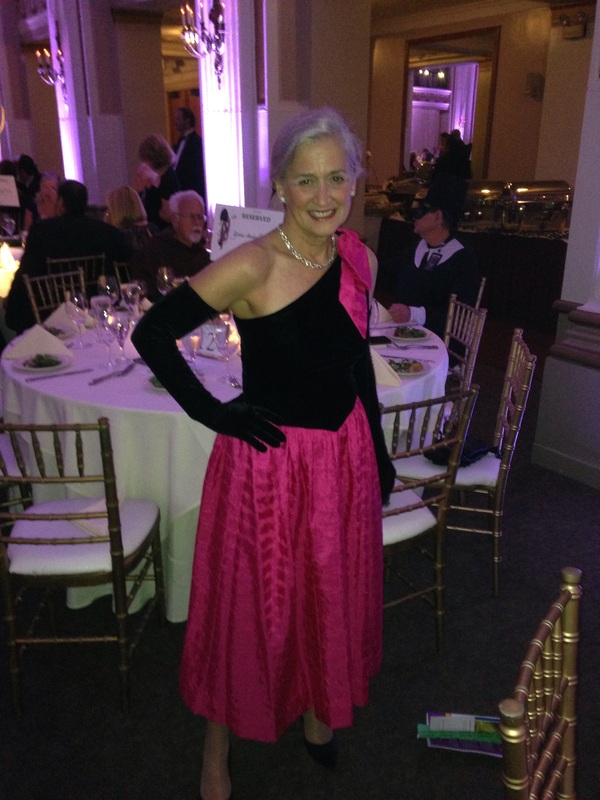 I did not see another pair of formal gloves the entire evening, which to me is a little sad. Accessories like that add so much to our attire and to our “presentation” and unfortunately are one of those fashion niceties being lost in an increasingly casual world. Some of the people in attendance at the Ball were in costume, but I loved the fact that I could get one more wearing out of a formal dress made so long ago. Back into the cedar closet it has gone – sharing space with other out-of-season or “too sentimental-to-give-away” pieces. It is anybody’s guess whether I will ever have another opportunity to wear it. But those gloves? I am keeping those handy!